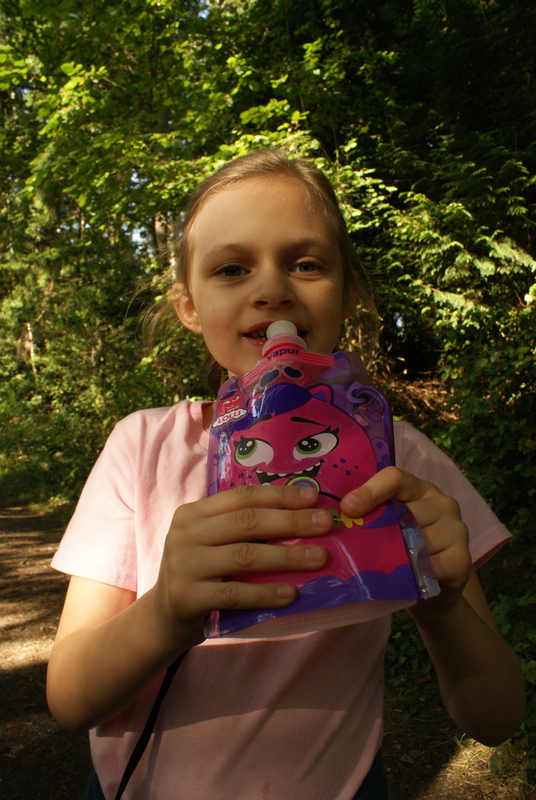 Earlier in the fall, we received two water bottles for the kids for review. Vapur is a water bottle manufacturer, making softer plastic bottles that squeeze down flat when they are empty and are lightweight yet durable. They market themselves as the Anti-Bottle. 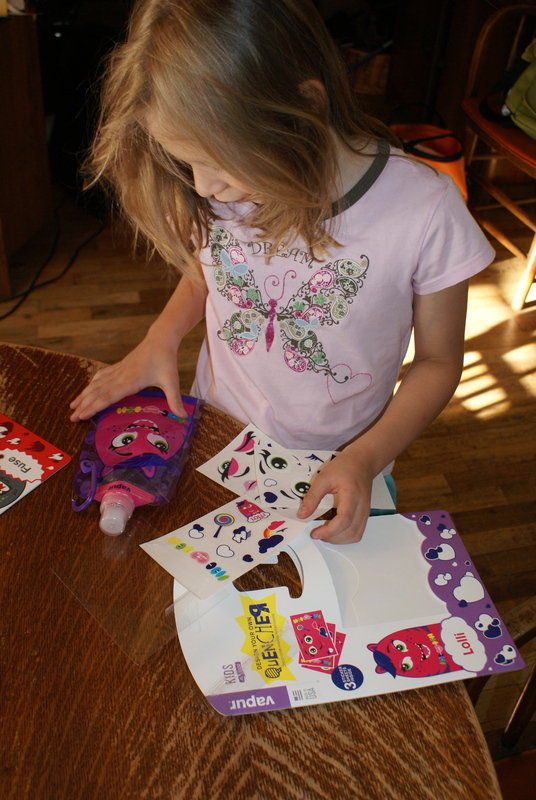 They have a new line out for kids, the Quenchers, a series of 4 colorful characters that come with stickers to decorate them. My kids got Lolli and Fuse, and promptly created their faces and accessories. The stickers have stayed on really well during our adventures. I recommend parents supervise this part for younger kids, because when my kids did have problems getting the stickers on, they got dirt on the undersides and didn’t stick well. 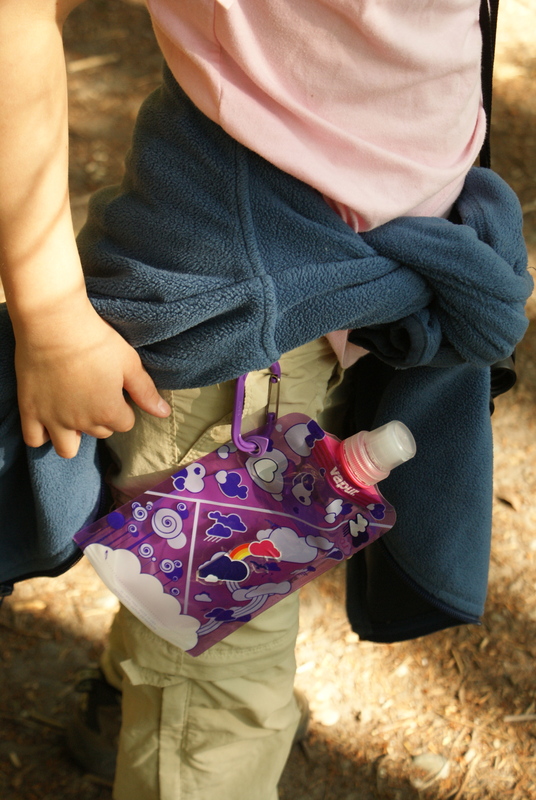 My kids really like the carabiners that attach the bottles to belt loops or bags. They like how colorful they are and how lightweight they are compared to traditional rigid bottles. It is easier to fit them into our lunch bags as we head out the door. My kids do have problems opening the lids, however. We had to work on a strategy to get the protective plastic cap off, and I am sure we will lose these little caps pretty soon. They consistently have a tough time opening the pop top, and often ask me to do it for them or use their teeth (yikes!). They have gotten around this by unscrewing the top, but then we’ve had issues with them not screwing them back on tight enough and water leaking out. When the lids are on tight and closed, though, we’ve never had a leak. Vapur Quenchers are BPA free, dishwasher safe, freezable and durable. They hold 0.4 liters of liquid. There is a spot to write the child’s name on the bottle (this already helped us once, when we left one of our bottles in a class.) Plus, they are just plain fun. I think my kids drink more water when we bring these little guys along. Vapur Quenchers have earned a spot in our rotation of water bottles, and I do recommend them for families to use. These bottles sell for $11.99 retail. Disclaimer: Vapur sent me 2 water bottles to review. All opinions are my own, however.